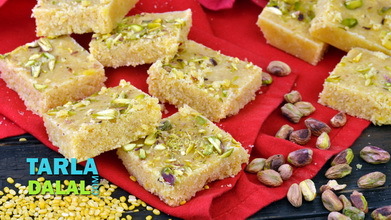 One of the most well-known of Indian mithai, the Malai Peda is as rich as a sweet can get. 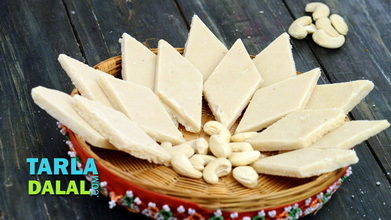 A special process of curdling condensed milk turns it into a richly textured product like khoya, which when flavoured with cardamom and saffron becomes an intensely aromatic dessert that nobody can resist. 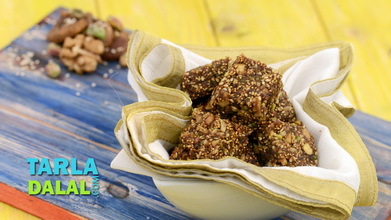 While the spicy fragrance and intense flavour make it a hit with adults, the amazing texture and succulent mouth-feel make it popular with kids. 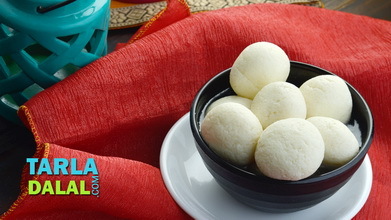 In all respects, the Malai Peda is nothing short of a blockbuster! 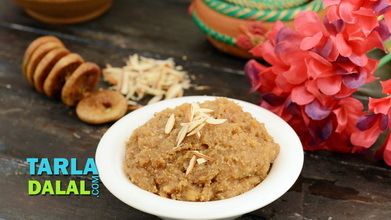 Meanwhile, combine the saffron and warm milk in a small bowl, mix well and keep aside. 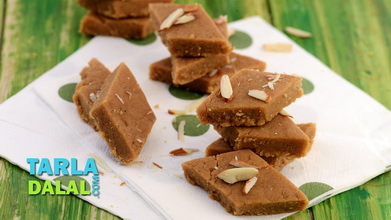 Add the sugar and saffron-milk mixture, mix well and cook on a medium flame for another 4 to 5 minutes, while stirring occasionally and scraping the sides of the pan. Simultaneously, combine the cornflour and the milk in a small bowl and mix well till the cornflour dissolves completely. Keep aside. Also combine the citric acid and 1 tbsp of water in a small bowl and mix well. Keep aside. 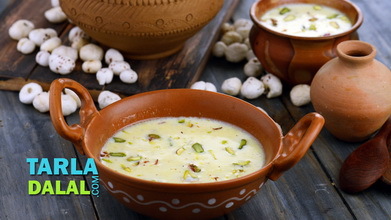 Gradually add the cornflour-milk mixture and citric acid mixture to the boiling milk, mix well and cook on a medium flame for another 4 to 5 minutes or till the mixture resembles mava (khoya), while stirring continuously and scrapping the sides of the pan. Transfer it to a plate, spread with the help of a flat spatula and keep aside to cool for 30 minutes. Divide the mixture into 16 equal portions and shape each portion in between your palms into a flat round. 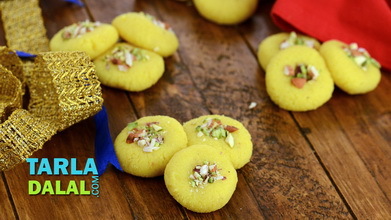 Garnish each peda with pistachio and almond and press it gently. Serve or store refrigerated till use. 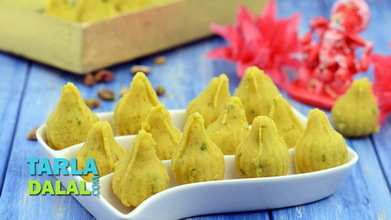 These pedas stay fresh in an air-tight container in the refrigerator for at least a week.